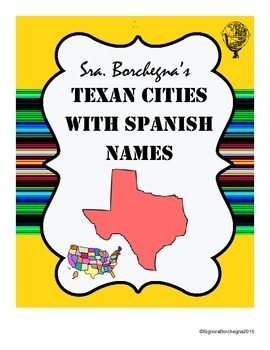 So many Texan cities have Spanish names! 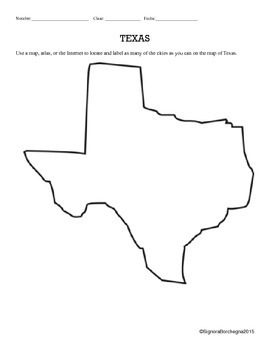 I designed this product so that students in Texas or students of Spanish can learn the translations of many of the cities and towns in Texas. 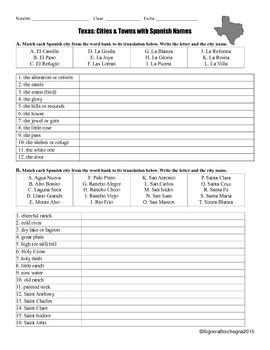 This worksheet could be used in a Spanish class or History/Geography Class. It is fairly self-explanatory, so it could easily be left as a packet for a substitute to use as sub plans or emergency sub plans. Students may want to use a Spanish dictionary or a translating website as a reference. 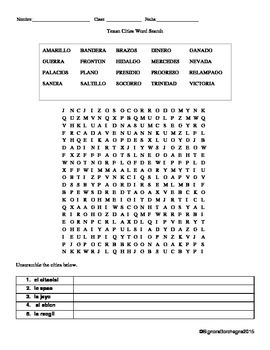 Exercises are to match Spanish place names to English translations. Then there is a map to mark city locations and a puzzle page with a word search and words to unscramble. There are also some expansion questions for fast finishers!